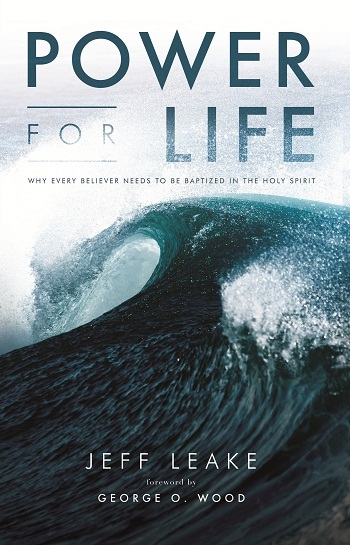 Based on a solid biblical foundation, and written in an easily accessible style, Power for Life answers those questions and many more. It helps every believer understand who they are in Christ and who the Holy Spirit is within their lives. Don't read this book to resolve a controversy or solve some sense of awkward confusion. Read this book to come to grips with the supernatural potential of your life. Read it with a hunger to see God do all He is able to do through your life. Jeff Leake serves as the lead pastor of Allison Park Church, a multi-campus church in the city of Pittsburgh, Pennsylvania. He is the founder of Network of Hope and the Northeast Ministry School. He holds an MA in missiology from the Assemblies of God Theological Seminary and is the author of four books: God in Motion, The Question That Changed My Life, Praying with Confidence, and Learning to Follow Jesus. He and his wife, Melodie, reside in Allison Park, Pennsylvania. 1. It's More Than Enough!